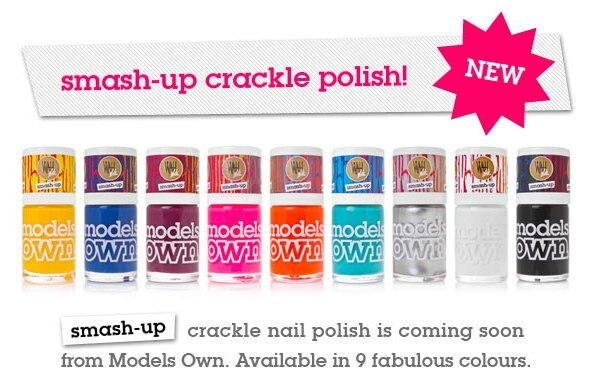 Looks like Models Own is jumping on the Crackle polish bandwagon!! I like the looks of that silver one! Wonder how it will compare to the upcoming OPI Silver Shatter polish?? Nunca había visto esa marca, se ven muy lindos los colores =). oooh I love these! & I agree with you, I'm most excited about the silver one. I haven't seen a silver yet. && There is a silver OPI shatter polish coming out!!?? I didn't even know that, I will have to keep my eye out for that since its easier to get OPI here in the US. Thanks for sharing. @Prettyfulz - Yep there is a Silver Shatter being released with Pirates of the Carribean! I can't wait for these ones! I'm badly addicted to Models Own nail polish, so I have quite high hopes for these. Fantastic news - any idea on release dates. I have been ogling the China Glaze crackles for a while, but the only UK suppliers I know of have sold out. Models own I can by in the high street! I also really like the few Models Own polishes I have, so expect they should be really good. UGH, When will there be a gold shatter?! Thats what I really want. hmmmmm I wonder if OPI comes out with one! I would love a gold shatter as well! I think the black and silver will be released on April 11! Sadly I think I'm going to give these a miss! 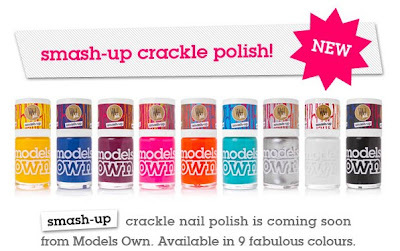 I love models own, but im all crackled out!